I love cheesecake, but hate the time it takes to make it. 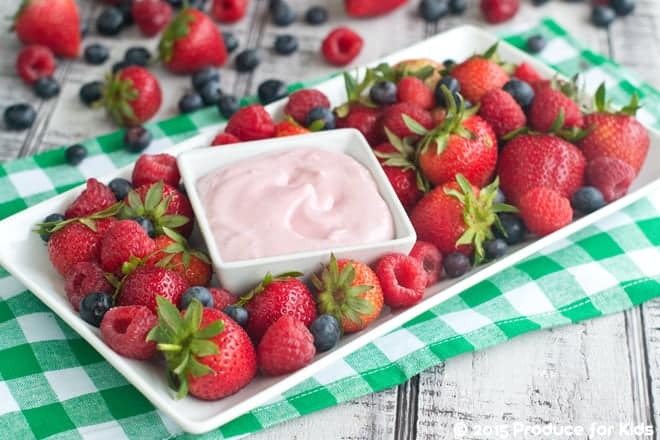 My Very Berry Cheesecake Fruit Dip satisfies my craving in almost no time. This post is made in partnership with Produce for Kids. I don’t really have a sweet tooth. But I love cheesecake. I think it’s because it’s made out of cream cheese. And I have a thing for cream cheese. When I’m craving cheesecake I want it right now and so there’s never time to actually make a cake. This cheesecake dip is a quick substitute. 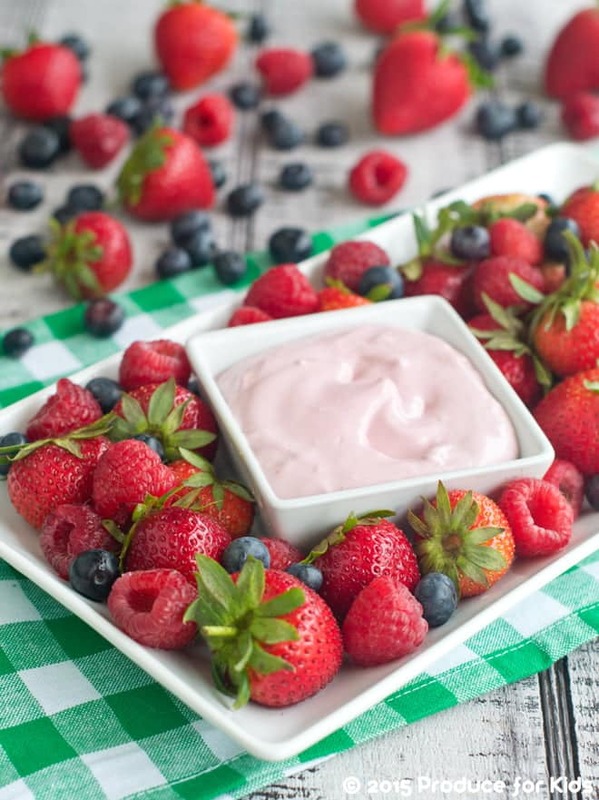 The fruit dip is made by mixing softened cream cheese with berry juice, lemon zest and a bit of sugar. It’s way quicker than making cheesecake, and the craving is zapped! The cheesecake fruit dip is probably healthier than cheesecake too since you get big bites of fruit with each mouthful. It’s a win-win! You can find my recipe on the Produce for Kids website. 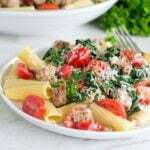 Why is my recipe over at the Produce for Kids site? 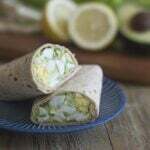 For the past few years, Produce for Kids and I have been working together to come up with family-friendly healthy recipes. I develop new recipes for them and photograph those and a whole bunch more. This year, we’ve teamed up again with another round of healthy recipes to share. You can see all of my Produce for Kids recipes here. Produce for Kids is a healthy family resource that offers meal-planning tools and healthy recipes for your family. 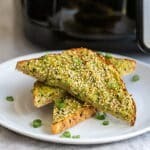 All of the recipes are approved by a registered dietitian for containing all the nutrients your kids need (and not too much of the things they don’t). The recipe’s nutritional info is given as well. I love Produce with Kids–such a great organization! 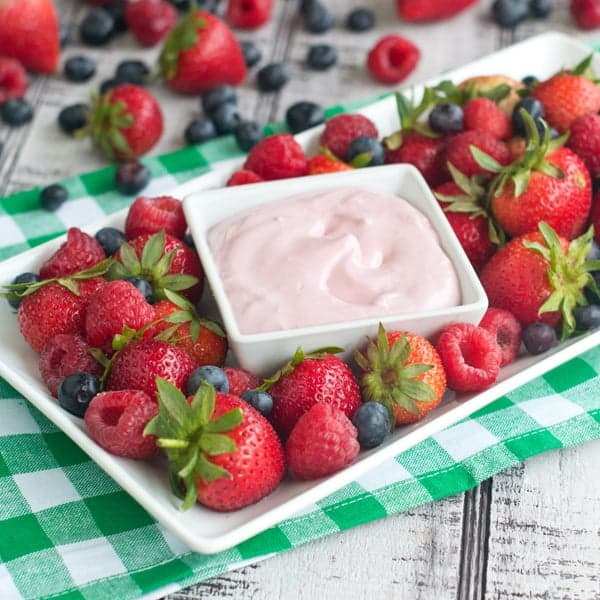 This very berry dip is perfect to get a few extra berries into our diets! This looks so simple, yet so delicious! I can’t wait to give it a try!